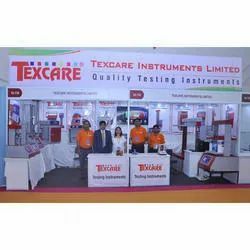 Since the inception in 2010, Texcare Instruments Limited, has been at the forefront of the industry by Manufacturing, Exporting and Supplying high performing Testing Equipment. 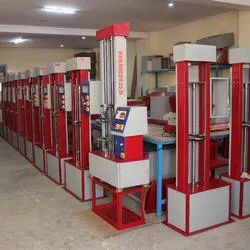 A large number of clients rely on us to obtain new generation testing equipment, such as Tensile Testing Machine, Top Load Tester, Hot Air Oven, Peel Strength Tester, Box Compression Tester and much more. We take pride in delivering quality products that are designed and developed with adherence highest industrial standards of quality. 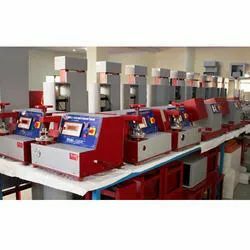 Further, our offered equipment have become the best choice of testing because of its highly beneficial features of efficient functioning, quality approved components, user-friendly operation, excellent testing performance, and reliable service life. We are exporting globally. With the support of technology and evolved skills and expertise of our diligent team members we are able to build a sustained future for our company’s brand image. We take pride in being a trusted and most preferred entity that fulfills the long unmet needs of clients whilst embracing the ongoing market trends. The finest grade of testing equipment is produced by the commencement of the careful planning and designing stage where we put emphasize on user-friendly aspects of the product. We, then, bring the design into life at our highly advanced manufacturing units to ensure the development of the best in a class instrument that users wish for. Our Mentor Mr. Deepak Sachan, is a forward thinking individual, who prefer quality over quantity. He is highly experienced and well versed with the complexities of the industry. Owing to his contributing efforts, we are capable of playing a key role in the success of our esteemed clientele. 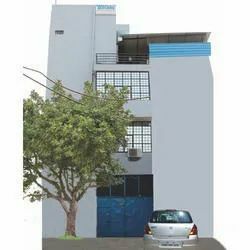 Our infrastructure involves highly advanced multiple manufacturing units, warehouses with wide storage capabilities, and testing laboratory for quality check. Every department is fully equipped with modern technology and fosters an approach to innovation. Moreover, we have made substantial investments in modernizing the infrastructure and also have plans to further expand our production and distribution capabilities all across the country. Our approach to quality equips us to undertake rigorous inspections of incoming raw material and developed testing equipment. We make sure to adhere to the obligatory norms and regulations of good manufacturing practices. This is achieved by the dedicated efforts of our quality assurance team, who conducts regular audits, and review assessments and helps us to be the top performing and most admired entity for its offered quality. The biggest asset to our company is the diverse outlook and winning attitude of our team members. They are highly experienced and determined to carve a niche in their respective job roles. Our team comprises of efficient manufacturing experts, technicians and engineers, trained quality check supervisors, and highly passionate sales and marketing personnel. By conducting regular training sessions, we make successful efforts to optimize their potentials and leadership skills. Selection of a right testing instrument is the key part of the success of any business. The decision to select which equipment has been made easier by our offered testing machines which outperform the competition with its comprehensive quality, efficient testing, functionality, reliability and cost effectiveness. Indeed, we are proud that we are meeting the clients’ expectations and enlarging our commercial footprint with a rapid stride.